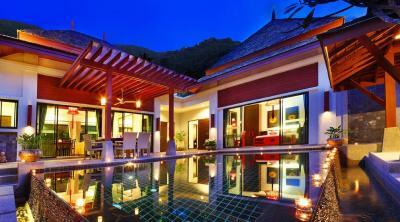 Lock in a great price for The Bell Pool Villa Resort Phuket – rated 8.4 by recent guests! 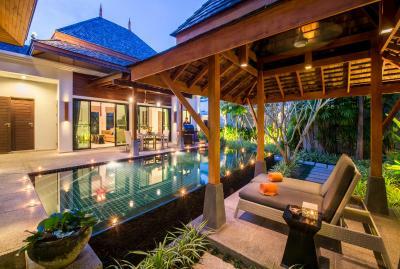 The feeling of the villas itself, the style, the layout is what I liked. Everything was perfect. From the moment you check-in till check-out. Welcome drinks and refreshing cold towels. They provide you with a mobile where you have 24 hours access to a butler. The staff are so helpful, kind and well informed. Free parking available. The villa is spacious and super clean. Big swimming pool. 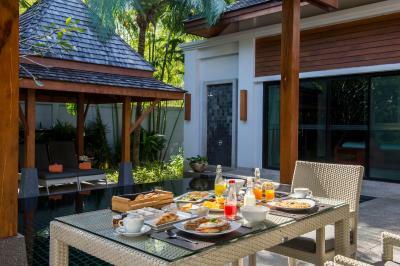 Breakfast in the comfort of your own villa. One day we had an early trip so our breakfast was ready in a cooler to go. The food is delicious. Everything fantastic place peace and tranquility Didn’t want to leave!! Excellent staff and facility, the manager tried to solve the issue with booking.com overbooking and gave a bigger villa. Thanks Danial. The prompt service when we needed something was a plus. The complimentary breakfast each morning was great. Great quility in terms of service. Very clean, tidy, Good food Everything is served on time Best Journey suggestion which fits to our schedule We enjoy a boat trip and city tour with a personal driver, with the lowest price. The butler, Nok, deserves to win all compliments I do appreciate her efforts and contribution. Due to her kindness, i would love to be at the resort whenever i am at Phuket. The service i had at the resort is best ever. Thank u for everything. Amazing breakfast and really great service from Greg and the butlers. We used the free beach shuttle to go literally anywhere! 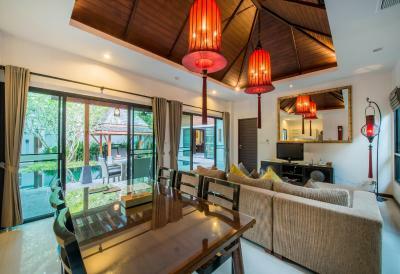 The Bell Pool Villa Resort Phuket This rating is a reflection of how the property compares to the industry standard when it comes to price, facilities and services available. It's based on a self-evaluation by the property. Use this rating to help choose your stay! 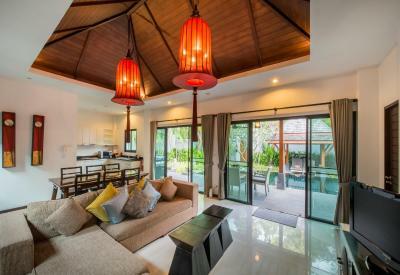 One of our top picks in Kamala Beach.Located in Kamala Beach, The Bell Pool Villa Resort Phuket offers exclusive getaways in tastefully furnished villas and a private outdoor pool. 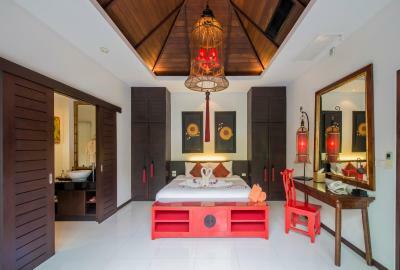 Set in tropical landscapes, it features spa treatments, personal butler service and free daily shuttles to Kamala Beach. 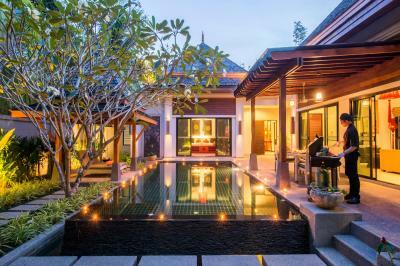 Featuring traditional Thai exterior and luxurious modern interior, the villas feature views of gardens and mountains. 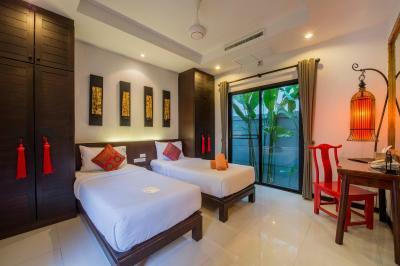 Kitchen facilities, a lounge area, a flat-screen cable TV and a bathroom with rain shower are also provided. 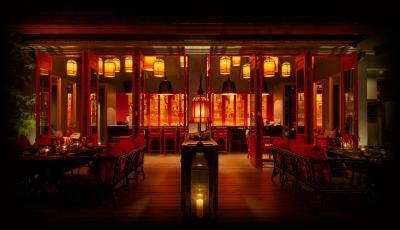 A variety of relaxing in-room massages and spa treatments are offered by the resort. Staff can assist with childcare needs and arrange cooking classes, private yoga classes and golfing trips. Day tours to nearby islands or a trip to visit the Elephant Jungle Sanctuary can also be arranged. 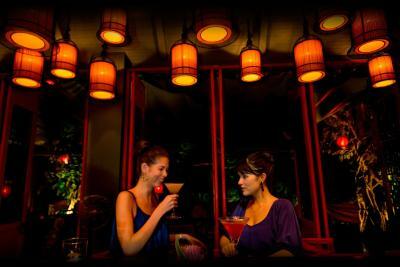 Guests can enjoy finest food and drinks at Zhong Lounge & Restaurant. 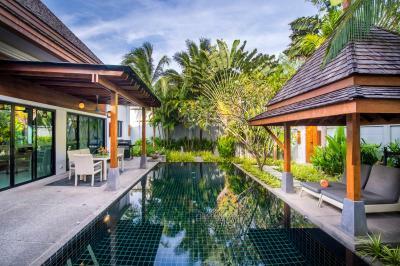 Located along the Andaman Sea, The Bell Pool Villa Resort is a 2-minute drive from Kamala Beach. 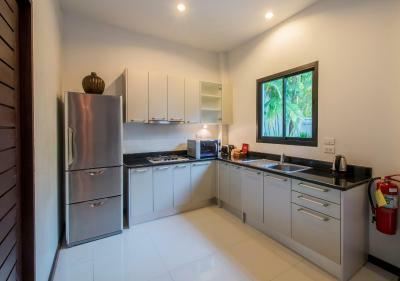 Offering car/motorbike/bicycle rentals, it is a 45-minute drive from Phuket International Airport. 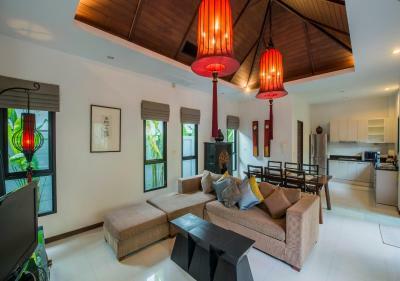 This property is also rated for the best value in Kamala Beach! Guests are getting more for their money when compared to other properties in this city. 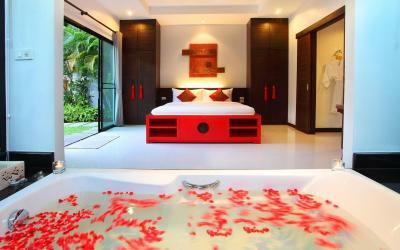 When would you like to stay at The Bell Pool Villa Resort Phuket? 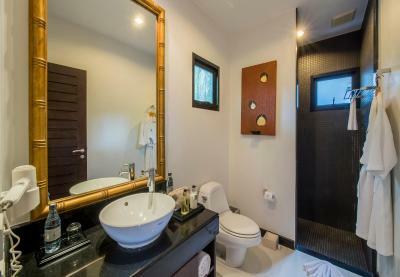 Spacious villa comes with 2 bathrooms. 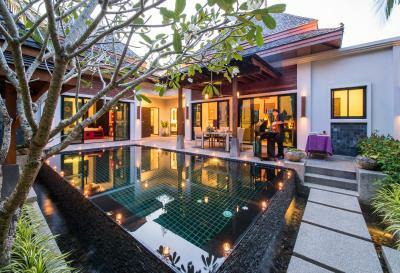 It features an outdoor swimming pool and Western kitchen. 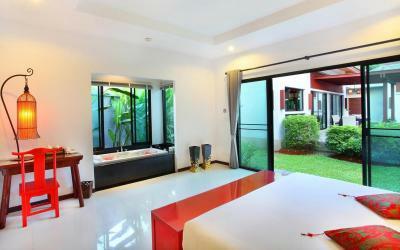 The villa comes with a bedroom with a King-sized bed. 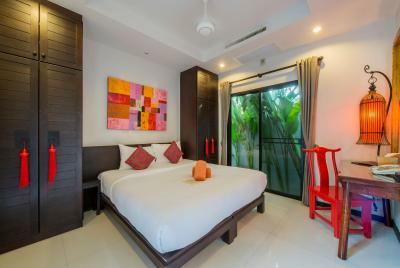 The second bedroom comes with a double or twin bed (subject to availability). Features a home theater system, Western kitchen and a tropical garden with an outdoor pavilion. Bedrooms have private bathrooms. The villa comes with a bedroom with a King-sized bed. The second and third bedroom comes with a double or twin bed (subject to availability). 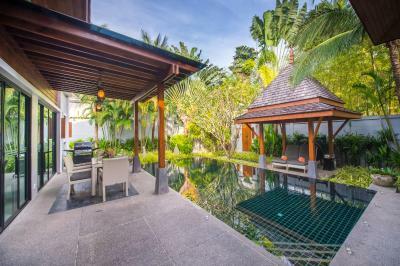 Large villa features an outdoor terrace with dining area and a tropical garden with an outdoor pavilion and rain shower. 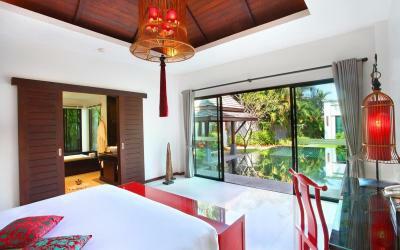 The villa comes with two master bedrooms each with a King-sized bed. The third and fourth bedroom comes with a double or twin bed (subject to availability). 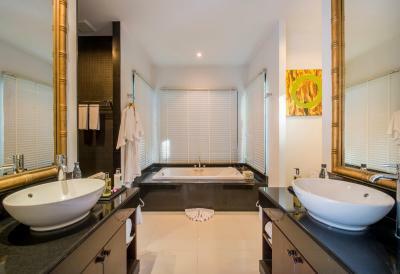 The bedroom has a private bathroom with a separate shower and a bathtub. 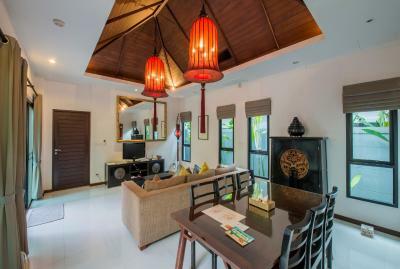 The villa has a spacious living area a sofa with entertainment system, a dining area, a Western kitchen and an outdoor terrace with a dining area, an outdoor shower and a private pavilion. 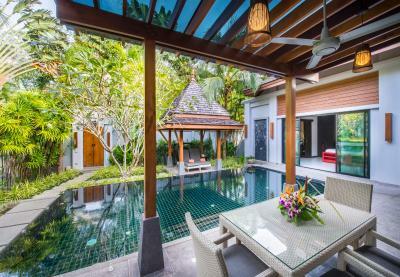 House Rules The Bell Pool Villa Resort Phuket takes special requests – add in the next step! 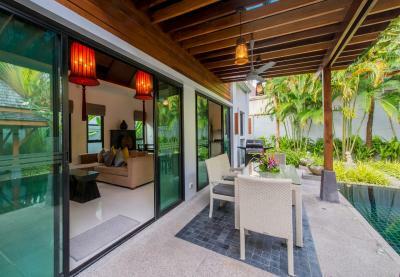 The Bell Pool Villa Resort Phuket accepts these cards and reserves the right to temporarily hold an amount prior to arrival. Please note that guests who want to rent a private car must have a valid international driver's license. 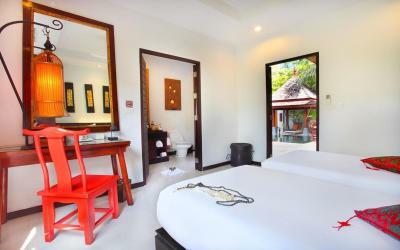 Please inform The Bell Pool Villa Resort Phuket of your expected arrival time in advance. You can use the Special Requests box when booking, or contact the property directly using the contact details in your confirmation. The water has a brownish color and smell chlorine (seemed to be recycled water from sewage) No staff were available to pick up my baggage from the car, the receptionist helped to take the baggage eventually. Everything at the resort is perfect,but the location is a little bit away from the most interesting view spots. However, it does not matter, they offer a car with personal driver, with reasonable(very cheap) price. U can go anywhere if u tell ur time and schedule to ur butler. The WiFi signal was a bit choppy until our butler sent someone to set our phones up correctly. 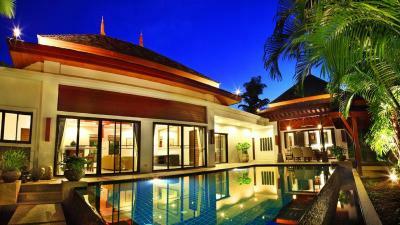 The property is nice and the villas are spacious. We had a wonderful BBQ by the pool along with some decorations and candles to celebrate our anniversary. Truly amazing time! Have visited last year and it was very nice, and so I returned with my family again this year. I am disappointed with the wear and tear the room n bed, pillow was too high for me that lead to headache next day, staff respond time had been delay a lot all compared to last year experience, both my wife and I have no water to shower at night, it was lucky my mom and my kids showered earlier before us. A very disappointment visit this time. Food(s) served were excellent. Staffs are very friendly and helpful. Room is clean, cozy and very comfortable. Definitely will come back again! *Special credit to Miss Pan,my personal butler during my stay in the hotel. She is very friendly and very helpful! Knowledgeable and very professional! Great job Miss Pan! Internet was very slow. Breakfast is just a formality, quality and quantity were poor. Hotel did not provide toothbrush, please carry your own. Far location with no view. Initially the booking response was great but later deteriorated. Villa was nice and clean. Pool was good. Comfortable beds and clean washrooms. Greanry around the villa. Privacy. Car parking. Property manager was quick to respond and sent dental kits. The butler service was almost non-existent. The complimentary bicycles for guests use need to be replaced with new reliable ones; most look worn out and the brakes were not working. We returned to this place 9 years since our last stay. Most of the amenities remain relatively unchanged, though showing some wear and tear due to years of usage. One family member awoke to puddles of water on the floor of her room due to air-con leakage, which was promptly attended to and rectified after we informed the staff. The BBQ we requested for during one of the nights was nicely prepared by the chef by our private pool, not to mention the daily breakfast brought in by the staff every morning into our villa. The complimentary shuttle to the beach was useful.